Life can be very challenging for local residents of the Andes in Peru. Founding owner Raul Ccolque grew up here and it is his goal with Alpaca Expeditions to provide opportunity for employment to his fellow Peruvians. From the beginning Alpaca has paid premium wages and provided benefits of life and health insurance to all staff. They receive training and are able to progress in responsibilities within the company. They are now hiring and training women porters for a co-ed program. Alpaca Expeditions has been a leader in the movement to improve the quality of life for their porters. Not only do they make sure they have proper shoes, clothing and gear for use on the trail; they regularly go out into the villages where farmers eke out a living as subsistence farmers, growing potatoes and herding llamas and alpacas. Providing resources to these people have included bringing in teachers, computers and school supplies to increase opportunities for the future. Their latest project took place August 19 when they brought in a team of dentists and assistants to take care of the dental hygiene of one of the villages. 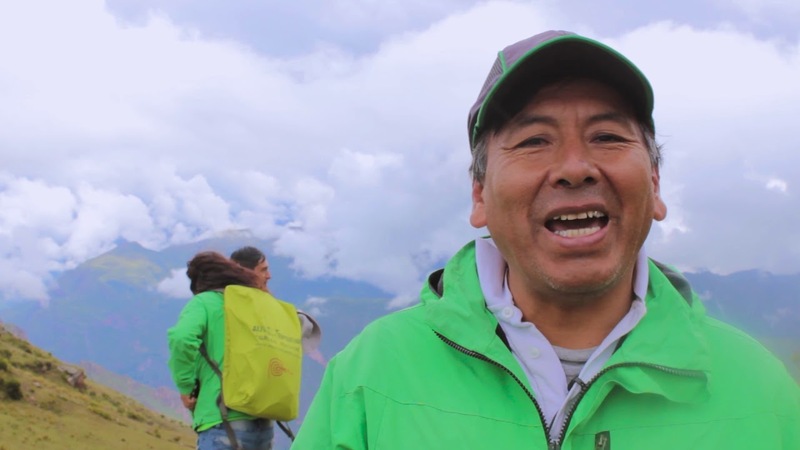 Alpaca staff and guides assisted Dr Joshuar Blanco, DDS and his team who donated their time and expertise to bring an opportunity for the residents of Choquekancha to receive dental attention right in their village! Alpaca Expeditions is a leader in all tours in Peru; including being a licensed Inca Trail Tour Operator. They are 100% Peruvian who grew up in villages around Cusco learning about the greatness of the Incas. Their goal to make the world a better place begins with supporting their own community. Everyone at Alpaca Expeditions is excited to show guests their homeland and are ready to help you plan this trip of a lifetime. They will help you fall in love with Peru! Alpaca Expeditions, 100 % Peruvian company, is a pioneer adventure operator diligently working to provide the best services in available. Although they offer daily departures, it’s important to check with a member of their sales team to plan a trek. Please email them at info@alpacaexpeditions.com,. They stand ready to help answer questions and help prepare for this amazing journey. Why Book 2019 Inca Trail Treks Now? 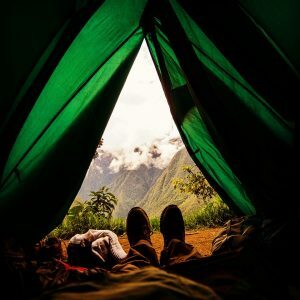 What do I need to hike the Inca Trail? You NEED a permit from the government in order to hike the Inca Trail. A licensed Inca Trail Tour Operator, such as Alpaca Expeditions, must do so on your behalf. How many permits does the government give out? The government issues 500 permits per day for the Inca Trail. EVERYONE needs a permit, including your crew, which means that only about 200 - 300 visitors will be able to start this hike every day. Do I need a permit for each day of the trek? No, you only need a permit for your START date. Once I book a permit, can I change my start date? No. The government does not allow us to change any dates for permits. If you need to change your date, you will need to purchase a new permit and your new date is likely going to be sold out. When do I need to book my trek? ASAP. The day that the government releases next years permits, which should be early October, most of March, April, May and June will be sold out. Because of the limited number of permits, they sell out extremely quickly. Shouldn't I wait until October to book then? Definitely not! If you know that you want to do this hike, booking soon will ensure you get a permit. The government is changing the rules all the time about when they will release permits and you want all your details in our system so we are ready for the moment we are notified. Plus, booking now ensures you get our current prices for next years trek. Am I guaranteed to get my start date? Unfortunately, no, but by booking with a trusted company like Alpaca Expeditions, you are in the best hands to make this happen. For the last three years we have been 99% successful in getting everyone's first choice for a start date. But giving us a backup or two for possible starts does help us make sure that you get to do this hike. We will always work to get your top choice and notify you if this doesn't happen (which will not be the case). If we weren't successful at all, which has NEVER happened, we will refund your money entirely - 100%. What makes Alpaca Expeditions better at this process? Alpaca Expeditions is the TripAdvisor’s highest rated operator in Peru offering treks to Machu Picchu. Their services to guests include everything from applying for permits, guiding groups on all trails, providing for every need along the way. Using superior equipment, gear and well-trained and experienced guides, Alpaca Expeditions guests are well cared for on the trail. Prices are affordable and all-inclusive of meals, activities and camping. Alpaca is concerned about safety, so they bring satellite phones in case of emergency and all staff are trained in first aid. Alpaca Expeditions is a 100% Peruvian Company offering traditional and alternate treks to Machu Picchu. There are many routes that lead to Machu Picchu – literally something for everyone! These include classic multi-day treks with camping all the way to one-day or overnight train trips from Cusco to Machu Picchu with no hiking at all. Alpaca Expeditions will help choose the best fit for each guest. So - you want to go Machu Picchu – Right Now! Cusco, Peru – The trek to Machu Picchu is on the life list for many people. As travelers seek to book trips at the last minute – they may find the Inca Trail Hike is not available. As of May 1; permits to trek the Inca Trail are sold out through October 2018. So – where does that leave late bookers? Thankfully there are alternative routes to achieve the goal of visiting Machu Picchu – many of them are preferred routes for hikers. Although It may seem overwhelming to plan a trip to Peru to visit Machu Picchu with so many choices. Alpaca Expeditions is ready to assist in making the best decisions for travel and to providing the most memorable experience possible. The first decision that has to be made is choosing the route to take. Alternative routes to Machu Picchu include the Salkantay Trek which is 5.5 days. New in 2018, Alpaca Expeditions have re-designed their Salkantay 5-Day trek. This new itinerary includes the hike to the impressive, crystalline-blue Humantay lagoon and the overnight stay in our Llactapata Campsite – right in front of Machu Picchu. Even more impressive, the cost of this trek is only $595! The Lares Trek is quickly growing in popularity. This trek combines the beauty of the mountains with a cultural visit to two different villages, deep in the mountains. Spend time learning about their culture, traditions and perhaps, join a game of futbol with the kids. This four day trek is priced at $575. Alpaca Expeditions offer itineraries which camp all the way and others include hotel accommodations all the way. There are even train trips from Cusco to Machu Picchu with no hiking at all. Alpaca Expeditions will help choose the best fit for each guest. Alpaca Expeditions outlines the various trips on their website along with packing lists, weather reports, recommendations for dealing with high altitudes and more. Their trip planners are always available to provide additional information to help in decision making. Their commitment to safety, comfort and great experiences assure guests have a memorable time.